Now, I’ve already told you all about the wonderful 1066 Cake Stand and their amazing Vegan Cake Club, but I’ve yet to write that promised review of one of the boxes. Partly because I get too excited when a box of cake arrives in the post, but mainly because we scoff the cakes too fast to take pictures! Well, as I’ve just seen it flash up in my news feed, my next monthly box is on the way, so I thought I’d share the gorgeous cakes from last month. There was a Floral & Spice theme to this box, and a giant sized pile of beautiful individual cakes. Lemon & Poppyseed, Orange Spice, and Lavender & Vanilla. All vegan and gluten free (wheat-based cakes also available). I loved the natural, tangy flavour or the lemon & poppyseed, and the real lavender flowers made a great burst of flavour. 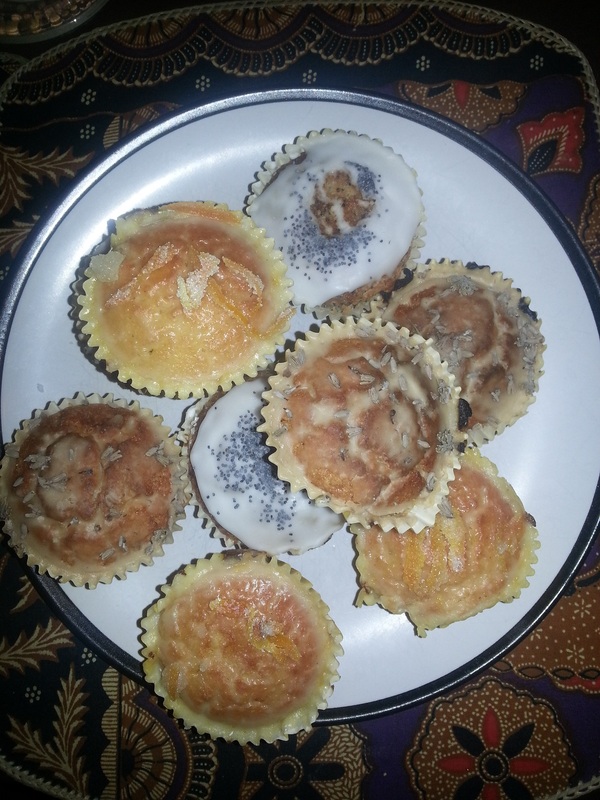 However, my favourite had to be the orange spice – with a gorgeous icing and lovely crystallised orange peel pieces. Divine. The texture of the cakes was so soft and moist, you wouldn’t know they were gluten free. There was an odd number of cakes in the box, but hubby and I gracefully shared the last one of course! We’d never be seen having a cake fight… promise! You can get a surprise box of home-baked vegan cakes to you door, for just £12 a month ( price includes postage). They are made with love and care, and for those like me who have the gluten free option, they are made in a special, dedicated kitchen. Happy days! And with the perfection of someone who is clearly a master at gluten free and vegan baking techniques, why would I go anywhere else? So, now I’ve freed up baking time by getting someone else to make my cakes, I’m off to use it wisely in the sunshine! Previous Post Human & Animal Friendly Clothing!